“A new phase in my life” is how peninsula born Jessica Martini (Burgdorf) describes her journey into motherhood. 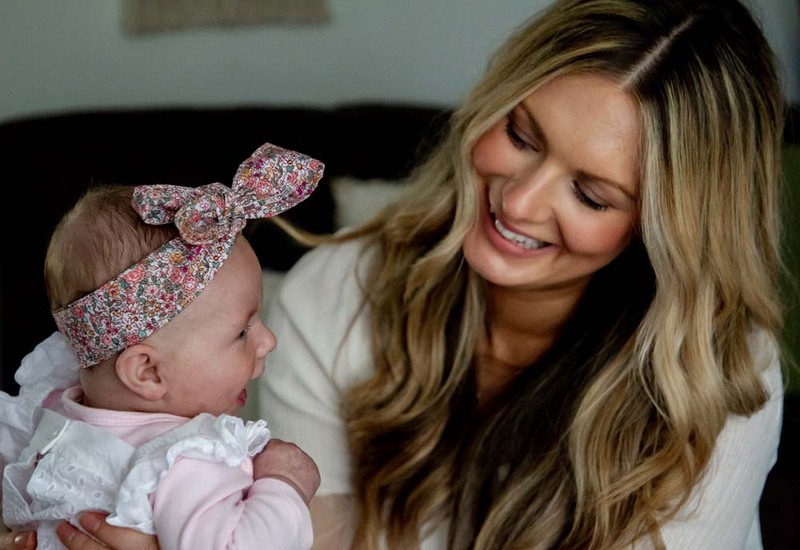 The multi pageant winner, Miss Galaxy Australia, and advocate for youth on the Mornington Peninsula, is enjoying life and the challenges that come along with first time motherhood. 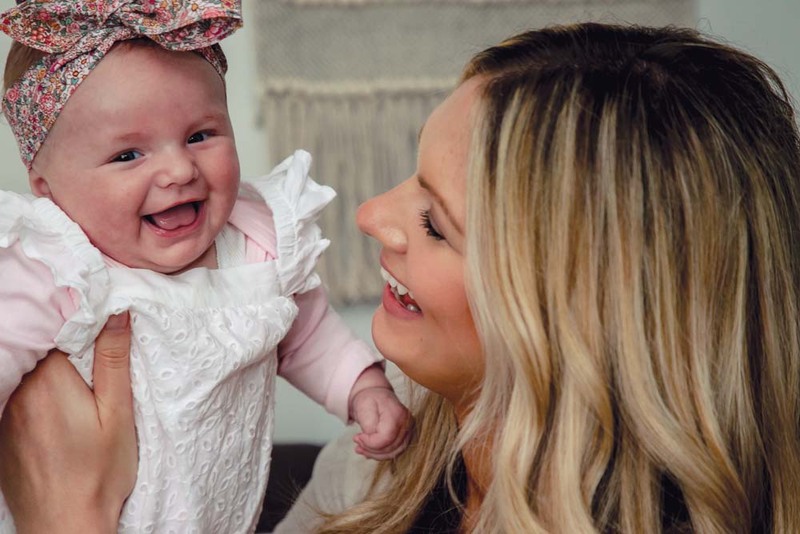 Jessica gave birth to beautiful Lara on 1 August 2018 and says it has completely changed her life. “I feel like it was the right time for me to step into this new part of my life and am quite happy to be living the quiet life with my baby girl and husband, Aaron. It’s actually wonderful how everything slows down and I am more present than ever, able to enjoy looking after Lara,” said Jessica who quickly became pregnant after marrying her sweetheart of 11 years, Aaron. “I actually got pregnant very quickly after getting married which was a thrill and surprise. I had been to a yoga and meditation class and during the meditation I visualised a flower coming out of my stomach and a beautiful baby coming out of the flower. Little Lara was born on August 1, two weeks before her due date, which came as a bit of a shock to the young couple. Next morning Jess and Aaron went back to the hospital at 8am and were taken straight to the birthing suite. “It was so surreal. I didn’t feel like I was about to have a baby and yet we were going to the birthing suite,” she said. Jess, with her husband in the room, soon delivered little Lara who was seven pounds exactly. “Lara was born at 9.57pm but it did take me a little while to attach to her as I was in shock. The whole thing had happened so quickly and I was completely overwhelmed,” said Jessica, who had gone to calm birthing workshops which definitely helped ease her anxiety about the birth. Like many first time mums, Jess’s experience was wonderful but strange. Motherhood has certainly kicked in now when you see Jessica so comfortable with her little girl, naturally playing and looking after the 15 week old. Like all new mums, Jessica has gone from not knowing how to change a nappy to a confident, nurturing mother. While little Lara might be the spitting image of her dad, she has Jessica’s relaxed and calm nature.